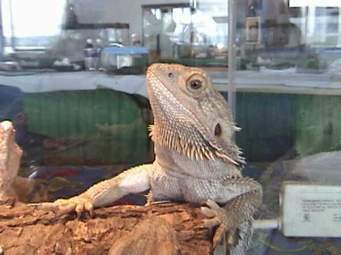 The Sheep Whisperer: Bearded Dragons & EWE! I make a great pet because of my calm "Disposition"! The "Bearded Dragon", originally located in Australia, is a very popular exotic pet, all over the world. They are very calm ,docile, & trusting by nature, yet, they also possess a rather "Curious" side. 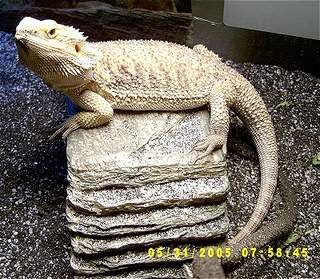 This combination of qualities , along with being gentile & quiet, make the "Bearded Dragon" very popular as a children's pet. Listening to "ROCK" music is my favorite daytime activity! 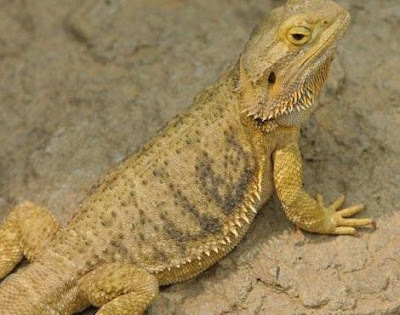 "Bearded Dragons", like most reptiles, enjoy being "Energized" by the sun during the day, mostly by lounging on a local "Rock", soaking up all the rays they possibly can! This ritual prepares them for a nighttime filled with activity! Soaking up the rays is easy for me to do! I don't even need LOTION! Have Ewe seen all of the "ROCKY" movies? I seem to be "Branching" out in my sunbathing! 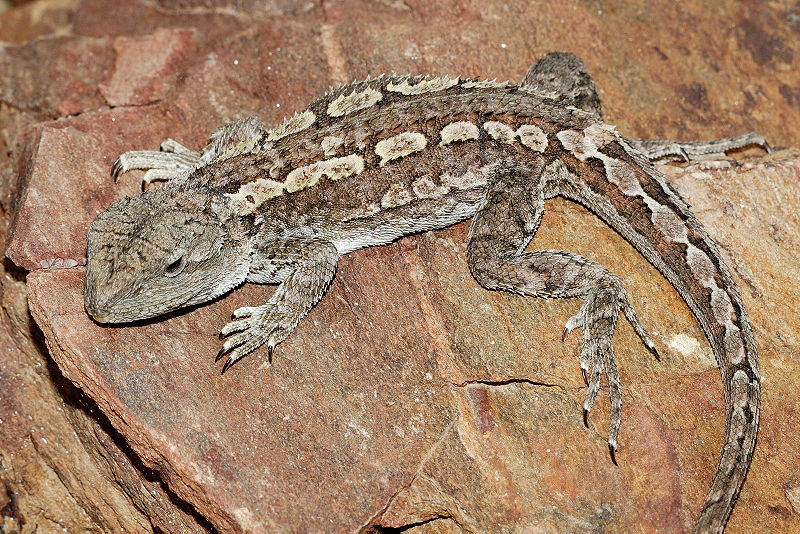 "Bearded Dragons" are smaller than the average lizards, measuring up to only 24 inches, including their tails! They tend to be quite territorial, thus requiring enough "Space" for them to roam! They feed mostly on insects such as worms & crickets, however, also will indulge the leaves of bushes & trees. YUM! Things are sure "Looking UP" for me , especially when I'm feeding in TREES! Bearded Dragons are loaded with lots of "FUN" Facts! 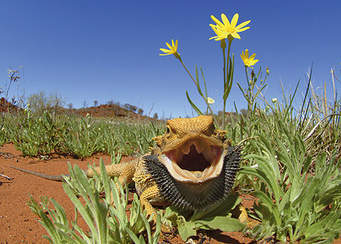 First, do Ewe know why they are named "Bearded Dragons"? 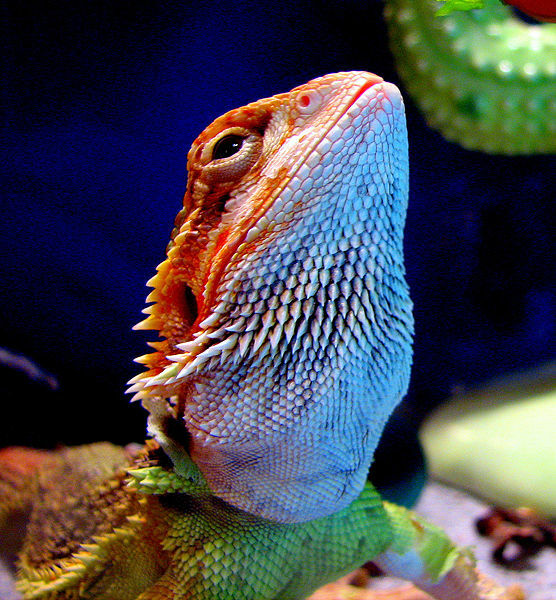 They are named "Bearded" because of the beard-like scales & spikes they have around their head. Whenever they are threatened, they expand their throats & use this as a defense mechanism against an enemy! Next, contrary to popular belief, not all dragons are from Australia. The USA presently has a huge population, & it is unnecessary, as well as illegal, to import them! 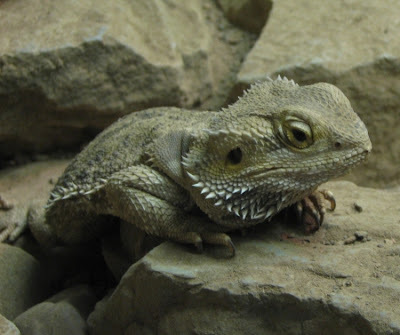 Third, in 2005, it was discovered that dragons have a mild venom that is not harmful to humans or most other animals. Finally, dragons do not regenerate body parts, unlike some other lizards. Re-growing tails is simply "out of the question" for the Bearded Dragon! I blend so perfectly that I feel a "ONENESS" with the rocks! Did Ewe accuse me of having "DRAGON BREATH"? Does anyone have a spare "CRICKET" I could borrow? 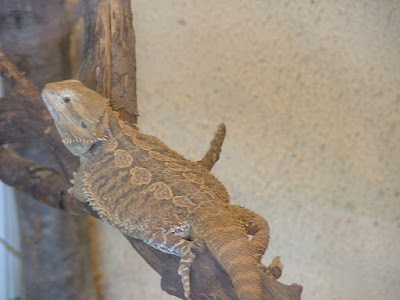 Sheep, unlike "Bearded Dragons", are not naturally "Calm",but tend, rather, to be very "Nervous", & in desperate need of the Shepherd's "calming" influence. However, they both do share something in common. 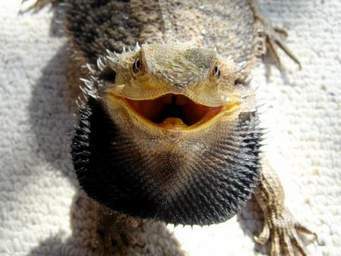 "Bearded Dragons" as pets, & sheep, both need the loving care of their owners! Now this is what I call "Contentment"! As Ewe travel through Ewer day today, take time to count Ewer Blessings, knowing that Ewe have a Shepherd Who CARES for EWE! Thank EWE AARON! 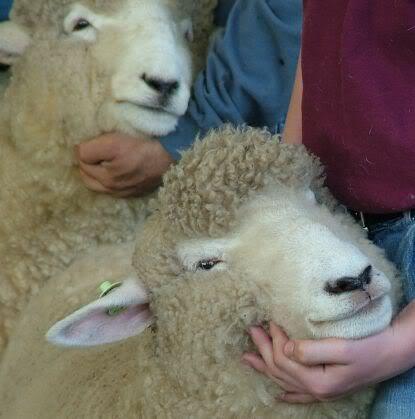 I'm so Happy EWE liked the BLOG!Thanks for commenting & God Bless EWE! Greetings & the 2017 Top Ten Blogs!